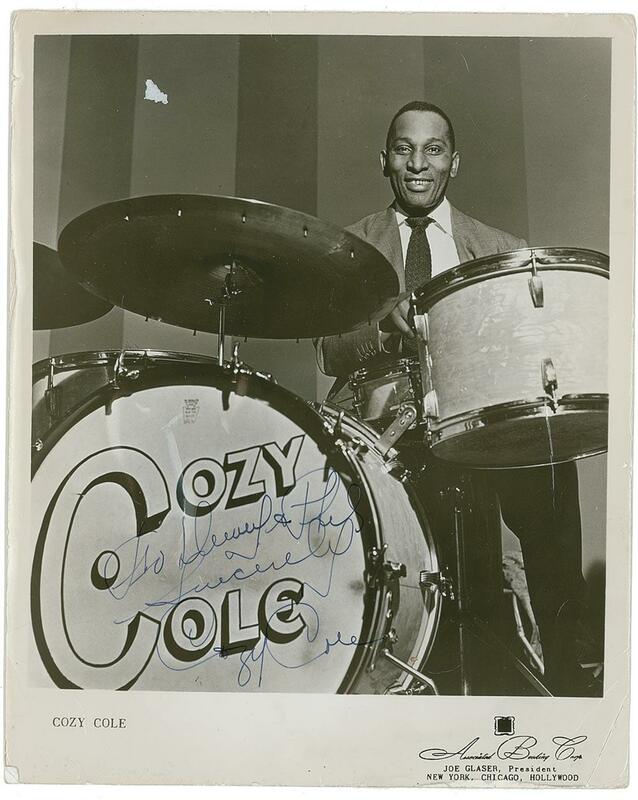 A popular performer throughout much of his career, Cozy Cole was one of the top drummers to emerge during the 1930s. He recorded with Jelly Roll Morton in 1930 (including a song titled "Load of Cole") and played with the big bands of Blanche Calloway (1931-1933), Benny Carter (1933-1934), and Willie Bryant (1935-1936). His stint with Stuff Smith at the Onyx Club (1936-1938) gave him some recognition. Cole was well-featured with Cab Calloway's Orchestra (1938-1942), playing in a strong rhythm section with Bennie Payne, Danny Barker, and Milt Hinton; his showcases included "Crescendo in Drums" and "Paradiddle." 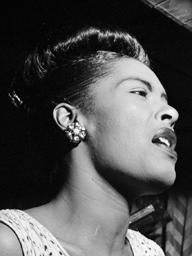 Cole popped up in many different types of jazz and studio settings throughout the 1940s, and headed several record sessions with swing all-stars. He was with Louis Armstrong's All-Stars (1949-1953), opened a drum school with Gene Krupa, and in 1957 toured Europe with Jack Teagarden and Earl Hines. A 1958 recording of "Topsy" became a surprise hit, allowing Cole to lead his own band throughout much of the 1960s; he also played with Jonah Jones' quintet later in the decade.